With the Greek crisis bringing sovereign debt to the forefront, capturing markets’ attention, concerns are mounting about the increase of debt-to-gdp ratios in many countries around the world. CDS spreads on several sovereigns have blown out to historical wides in recent weeks (in early February, Portugal’s five-year sovereign CDS spreads were at 2.09 bpt—their widest level ever). 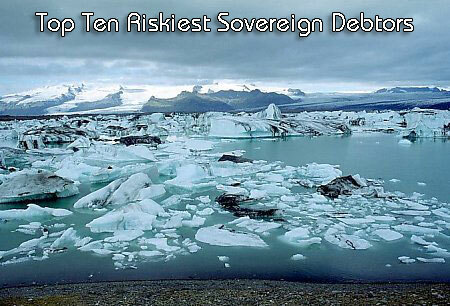 With countries like Iceland and Dubai already reneging on their foreign debt obligations, there is a growing concern about similar trouble with the debt of several developed and developing economies. (Data from Reuters/CMA Datavision’s latest ‘Sovereign Risk Monitor‘).